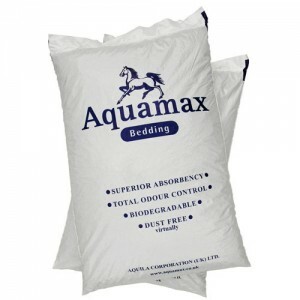 Easy Pack pellet bedding is exclusively designed by us to provide a straw pellet bedding that is both good to the horse, owner, environment and wallet. 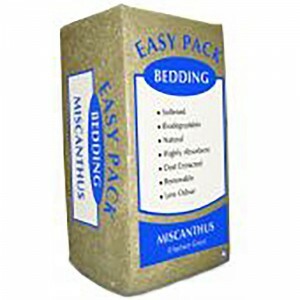 This bedding provides a soft supportive bed that crumbles easily and provides a cushioning bed. 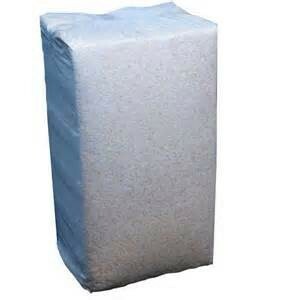 It does not need damping down, using up valuable absorbency capacity. It is time saving and better for the environment. Most importantly it is better for the health of your horse! read more below. 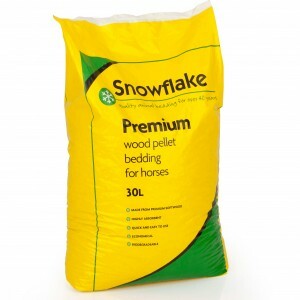 Why choose Easy Pack Pellet Bedding rather than Wood Pellets? 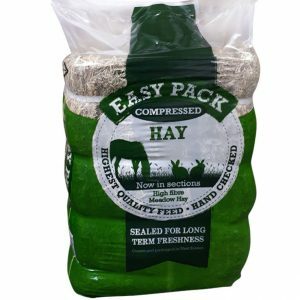 Easy Pack straw Bedding pellets have many advantages over the wood pellets, below we list 13 reasons so you can make you own mind up. Especially made for the equine market. 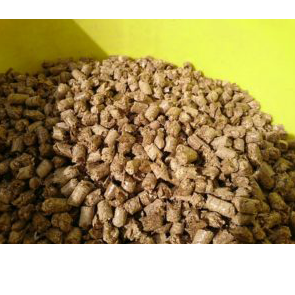 Not a fuel pellet sold as a bedding pellet. 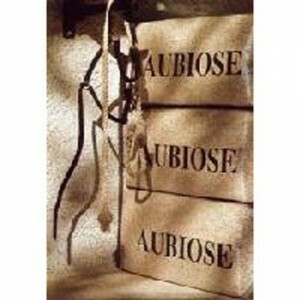 Reduce the smell of ammonia in the stable. Absorbs water up to 4 times faster than standard hard wood pellets. Urine stays in one place. Easy to spot and remove. Money saving as less material is removed each mucking out, last longer, fewer pellets used. Straw pellets crumble easier making a more comfortable, cushioning bedding which is non slip, often wood pellets can be more slippery. Rots down 90% quicker than wood on the muck heap. Fewer muck heap removals needed. 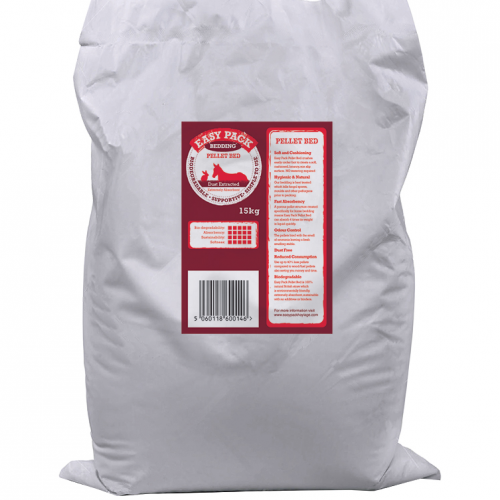 Easy Pack Pellets are non-nutrient leaching from the soil – they are a good source of slow release nitrogen. 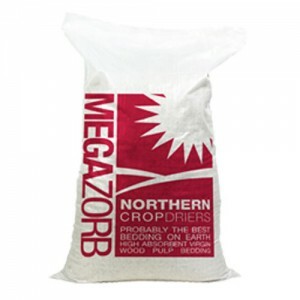 Unlike wood based bedding which removes nitrogen from the ground when it rots therefore being a good fertiliser. Natural straw smell, not harmful to horses respiratory system, unlike wood resin smell which is an irritant to ours and the horses lungs. Pellets are heat treated to reduce harmful spores and moulds. Pellets are dust free. More Eco friendly, straw pellets are using a by product of agriculture, wood pellets are made from trees in a 25 year plus growth cycle. Straw pellets are also more convenient to store as they take up 50% less space than most chopped products. Easy Pack Pellets have 300% water absorption capacity which is 50% more than wood pellets and 3 times more than shavings!